NEW BRAND- PRODUCTS EXPECTED TO START SHIPPING MAY 1, 2019! FDP is a great source for high-quality preschool and children’s school furniture. Kid’s classroom furniture from FDP meets the high standards educators across the country seek for their learning and play areas. From preschool classroom chairs and activity tables, we are an authorized dealer for all products from FDP. You’ll find that most of FDP classroom chairs and flexible seating come in a fun array of colors that kids love. Need a preschool activity table and chair set with just the right amount of chairs? You are in luck because FDP has taken the guesswork out of how many chairs fit around a particular activity table and has put together a selection of table and chair sets just for you. If you need additional activity tables you can still buy them separately along with additional classroom chairs, wobble stools and floor furniture. For infant and nursery rooms, FDP offers furniture products that meet all general safety requirements so that your childcare facility passes inspections. FDP, Factory Direct Partners, is your one-stop brand for all things kids! 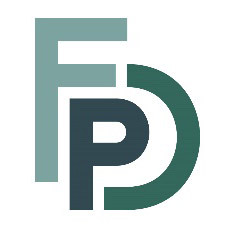 Contact us for questions and sizing help or for volume quotes on all FDP furniture products.